Kassidy Gorman battles for the ball. The junior defender has played further forward and been an important part of Northwestern’s attack this season. At home, No. 23 Northwestern has been impeccable this season: It’s undefeated and has allowed just one goal during eight matches at Martin Stadium. To get a win at home against No. 13 Minnesota this weekend in possibly the Wildcats’ toughest game of the season to date, they will likely need to maintain that level. NU (13-1-2, 6-1-2 Big Ten) takes on the Golden Gophers (12-3-2, 6-1-2) on Saturday in what is shaping up to be a must-win game of sorts. NU has embraced, and whole-heartedly gone after, the goal of winning the Big Ten, and with a win over Minnesota, the Cats could potentially take first in the conference standings. Currently, NU sits in a tie for second with Minnesota, making the stakes of this home matchup clear. Both teams sit a point behind first-place Penn State, which plays at Michigan State on Saturday. If the Cats win, and the Nittany Lions either tie or lose, NU would be in a position to grab its first Big Ten title with one game to play. However, the Golden Gophers are formidable. Aside from losses to No. 3 Stanford and No. 4 Duke, Minnesota’s only losses this season came against those current top-five teams and in a 1-0 overtime loss to Wisconsin. In addition, the Golden Gophers have shown that they can dominate conference opponents, earning 3-0 wins over Ohio State, Indiana, Iowa and Nebraska. For a Cats team that has relied on its defense to carry it through Big Ten play, allowing a Big Ten-best of just five goals all season, this will be the ultimate test. Minnesota leads the Big Ten in goals scored in conference games, with 17, so Saturday’s matchup will pit two of the Big Ten’s best units against each other. On the other end, although injuries have hit NU’s forward group hard, the team has been able to cobble together just enough chances using a patchwork front line. Moynihan said scoring enough goals to get by has been a team effort. 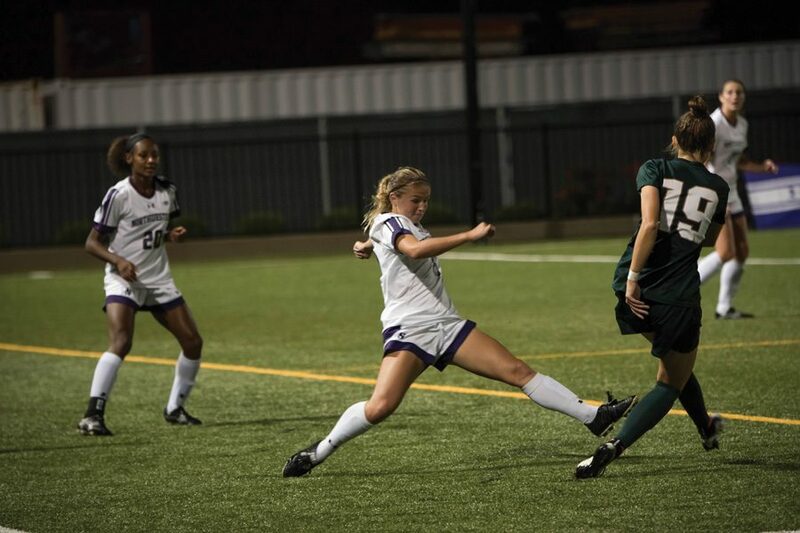 In particular, junior Kassidy Gorman, who played as an outside back last season, has stepped up for the Cats in a more advanced role this year. Others, like junior defender Nikia Smith and senior midfielder Rachel Zampa, have shown flashes recently when moved forward. Ultimately, Saturday’s home game should be a great test for NU, a matchup against the type of opponent it might face in deep NCAA Tournament run. Regardless of the quality of the opposition, junior goalkeeper Lauren Clem said it all comes down to the Cats’ performance.